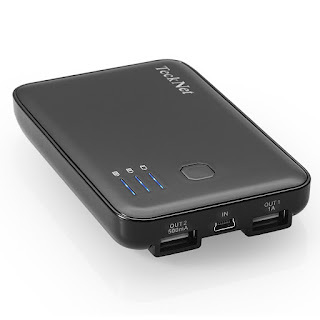 I recently blogged a review of the new Three MiFi and mentioned that I had unlocked it and intended to use it in Spain with a Spanish Sim card to get cheaper data on my trip abroad to attend the Citrix Synergy conference in Barcelona. Well here I am in Barcelona and it is working really well so I wanted to share the simple steps to do this as it could literally save you a small fortune. Roaming abroad has always been expensive although recently due to pressure from the EU (yes it really was them!) 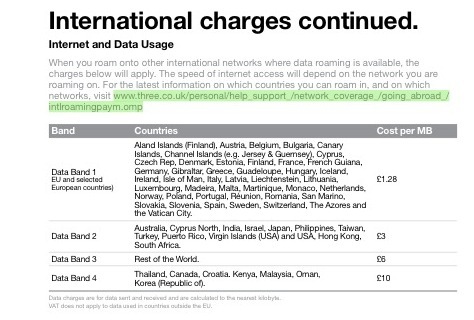 phone call costs abroad have been made more reasonable. Data is stil really expensive though. Three charge £1.28 per megabyte here in Spain. Owch. So far as you can see from the photo of the MiFi at the top I have used 216Mb which would have cost £276! But in fact I have spent just over £20 as you will see below. So step by step this is what you need. 3. You need to buy a foreign SIM Card. For my Spain trip I bought a Spanish Vodafone card from eBay here. 4. Because I knew that I could use a data bundle with Vodafone I knew I would need to top up the SIM and rather than mess about with vouchers I used the same eBay store. 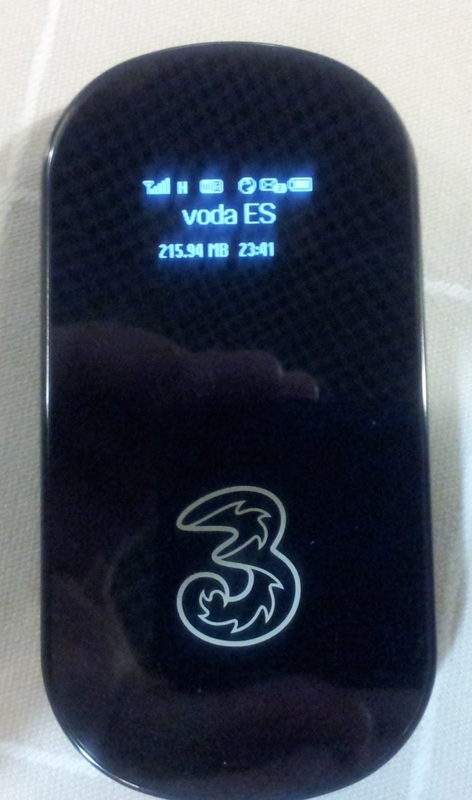 Tip: you need the Vodafone Telephone number to top up and as I didn't have this I just put the Spanish Voda SIM into the MiFi in the UK and sent a text to my mobile from the MiFi web interface to get the number. 7. 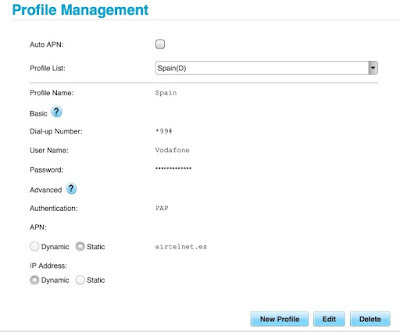 I needed to set a new Profile on my MiFi to get the Spanish Voda APN settings. you can see the config I used below. Note username and password are both "vodafone". Tip: I did this from a laptop as it did not work well from my iPad browser. That was that and it has worked really well. Predictably the conference WiFi is congested and doesn't work all over the centre. I also have a portable USB battery to keep my MiFi running all day!